Pelmor® is the one-stop source for hard-to-extrude shapes, specialty extrusions, and profiles made to very tight tolerances. Our decades of experience, coupled with our modern equipment, intensive quality assurance, and a dedication to meeting our customer's specifications, make us the supplier of choice for your extrusion needs. Once the First Article prototype parts have been approved, the production moves to either of our efficient 1 1/2" or 3" cold feed extruders. 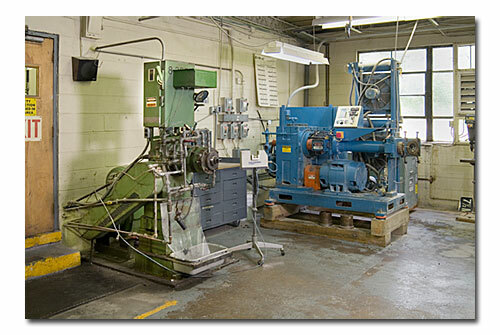 We employ a multiple step curing process utilizing either a dry autoclave or an in-line electric heat tunnel. Our capabilities include large diameter extrusions in complex profiles to tolerances as close as +/- .020". Our undeviating product consistency and high quality offer our customers improved productivity and virtual freedom from talc and other impurities.